We're so glad Christy Barritt could be with us today! 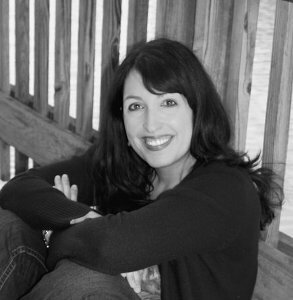 Christy is the author of the hilarious Squeaky Clean mysteries, and has recently signed on with Love Inspired Suspense. Christy, thanks for stopping by. Do you have a favorite chocolate indulgence? I absolutely love the blondie brownie sundae at Applebee’s. It’s covered in white chocolate and the blondie brownie is sooo warm and yummy! I love it! Give your own definition of chick lit. The best way I can describe chick lit is that it’s literature about real women. That’s what I find so refreshing about reading and writing it. The books are about women who think and sometimes act the way I do in real life! The stories address imperfect women with insecurities, who can be snarky at times and sweet at times, women who love God but still screw up sometimes. They’re books I can relate with! You are now writing for Love Inspired Suspense. How has that changed your writing style? Have you needed to change your tone to write for the category? Writing for LIS is definitely a change. I like writing for the line, but the style is very different. LIS knows exactly what formula their readers want, and writers must follow that formula every step of the way. With my previous books, I was definitely freer to think outside of the box. I’m excited to write my chick-lit and for LIS, though. I love being able to tell stories, and I get to do that through both genres! Do you have any chick lit-like moments from your own life that you could share? The one that stands out happened a couple of years ago. I had a rare evening to myself, so I decided to relax in the bath and have a little pampering and spa treatment at home. These are things I never have time to do anymore now that I have two children! Oh, and I had laryngitis that evening also. After the bath, I put my robe on. My hair’s in curlers. A green mask is covering my face. And you know what happens? The doorbells rings. On my way to answer it, I stub my toe. So, I’m jumping on one foot, trying to cry out in pain but unable to because I’ve lost my voice. I answer the door and it’s the UPS man. I know I must have been a sight for sore eyes! Lesson learned? Next time just pretend I’m not home. I have a tendency to injure my characters and then forget about their injuries the next chapter. I have to really watch myself there. I also love drinking Coca-cola and eating cheese crackers while I write. I’m trying to change that, however, because it’s not great for the waistline! If you were going to co-author a novel with someone, who would you choose? Why? Author Mary Connealy and I have been critique partners for years. I think we’d have a blast writing something together because we both get each other’s sense of humor. What are one or two of your favorite lit novels from the CBA? I love Siri Mitchell’s Kissing Adrien. I also really liked Sharon Dunn’s Ruby Taylor series and Kristin Billerbeck’s What a Girl Wants. Where would you go on your dream “research” trip, and would you take anyone with you? Who? I’d go back to Scotland with my best friend--my husband. My husband’s family still lives over there. We visited five years ago and had a great time. I’d love to go back again sometime. It’s such a beautiful country. If you could live in a novel, which one would you choose? This is a little tricky because I’ve been reading lots of suspense novels lately, and I wouldn’t want to live in any of those novels—they’re too scary and tragic! If you weren’t pursuing writing, is there another dream career you might be chasing? I’d want to be a Broadway actress. Finally, share two pieces of advice—one writing-related and one not. Writing advice: Write because you love to do it. If you get too caught up in getting contracts and good reviews, you’ll be miserable. Other advice: Believe in yourself and it will be so much easier for other people to believe in you also! Thanks so much for sharing, Christy. It's always nice catching up with you! To learn more about Christy, check out her website here. I love these interviews! And I love her writing advice--to write because you love it. The business side can be overwhelming and heartbreaking at times. Great interview! Christy, I was surprised to see your transition to LIS novels. Thrilled, but still surprised. Why the change? Do you have any new chick lit novels coming out soon?